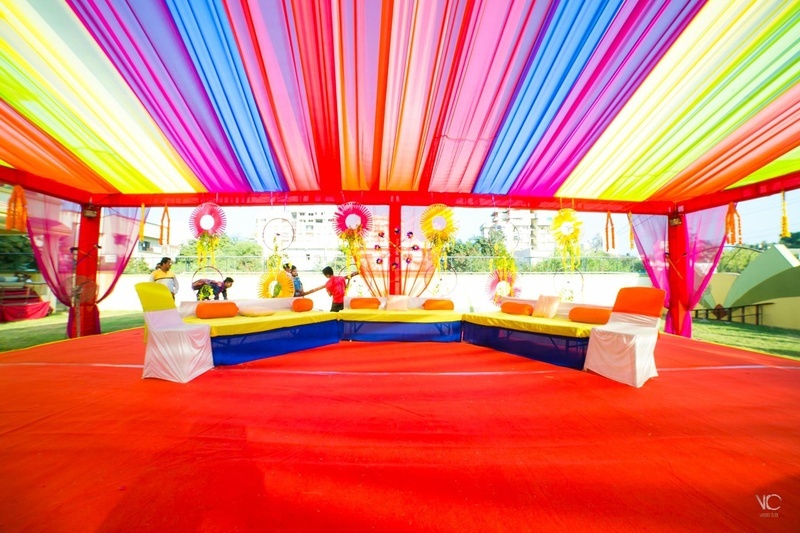 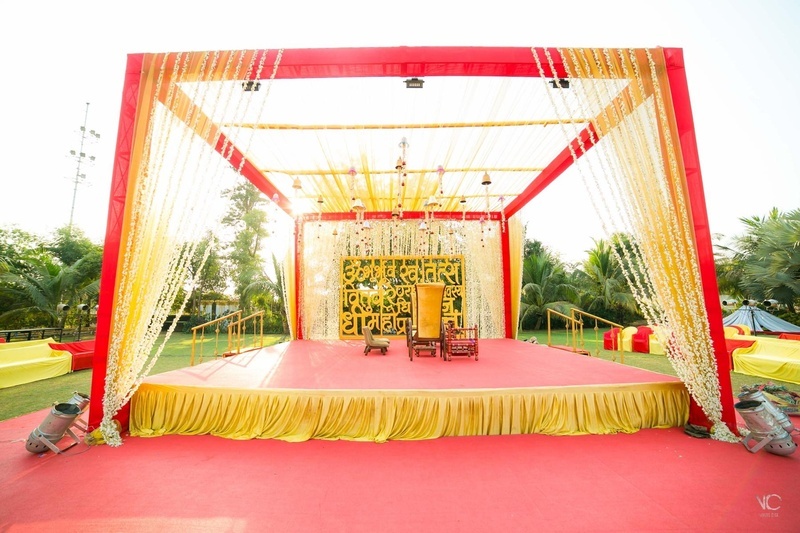 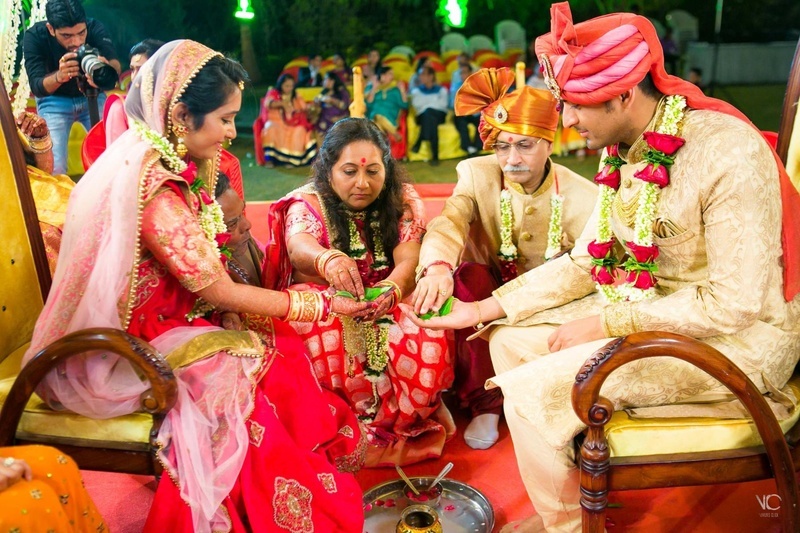 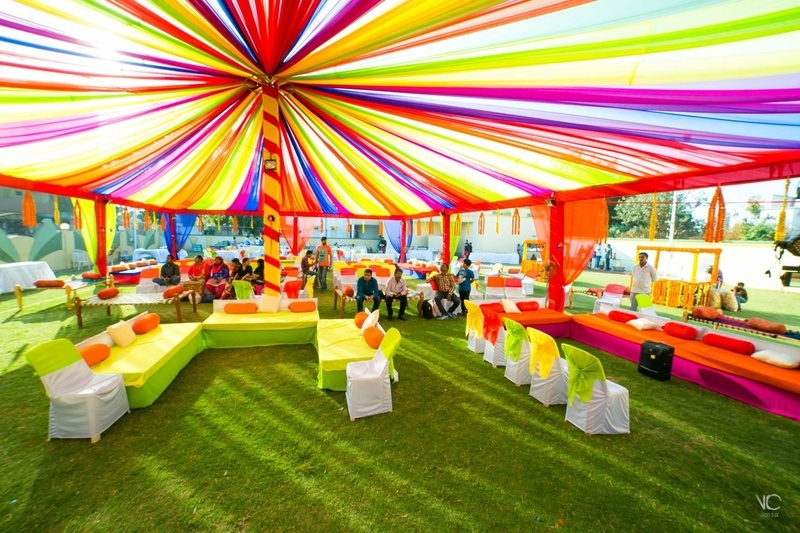 A picture perfect Gujrati wedding held at Vidhi Party Plot, Anand, Gujrat. 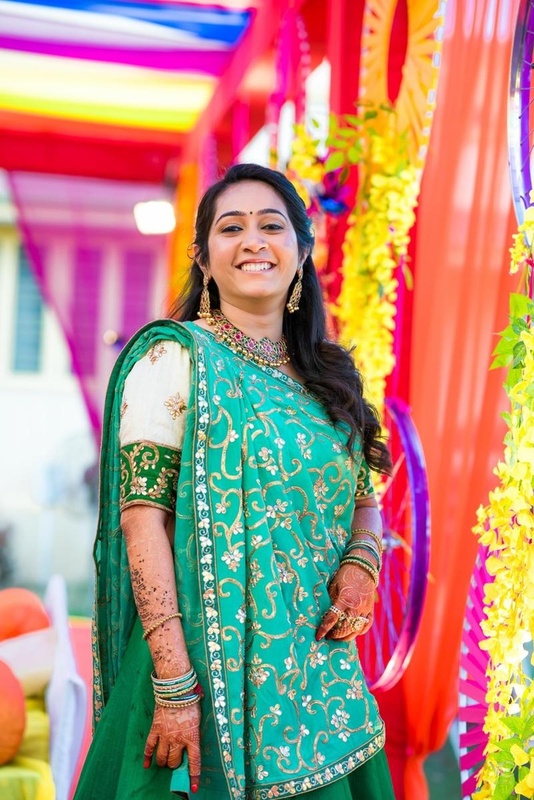 A wedding full of pretty decor ideas, stunning outfits and a wedding hashtag which was oh so cute! 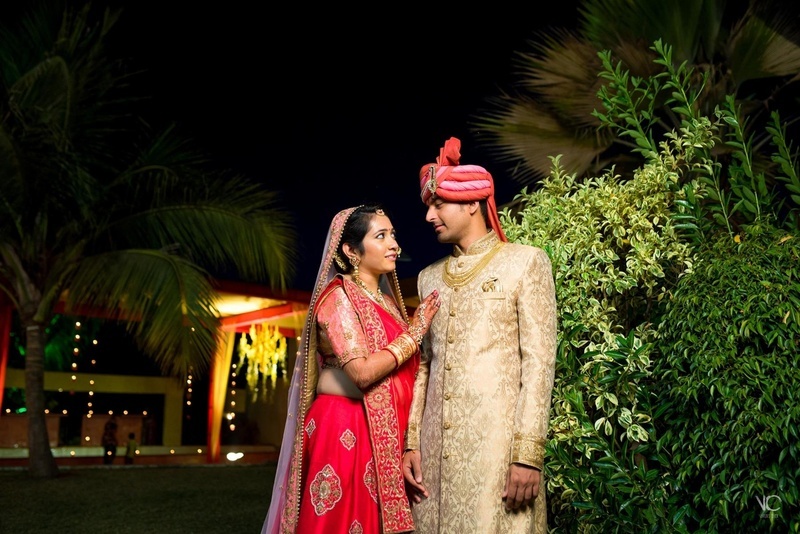 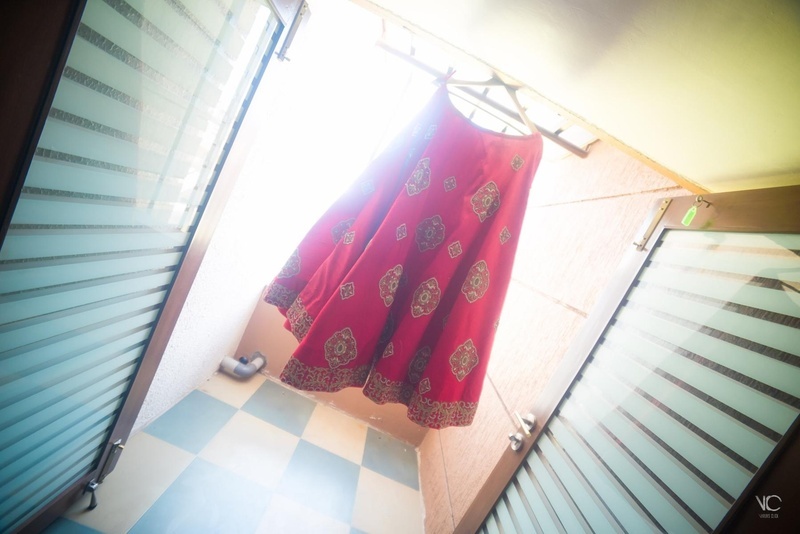 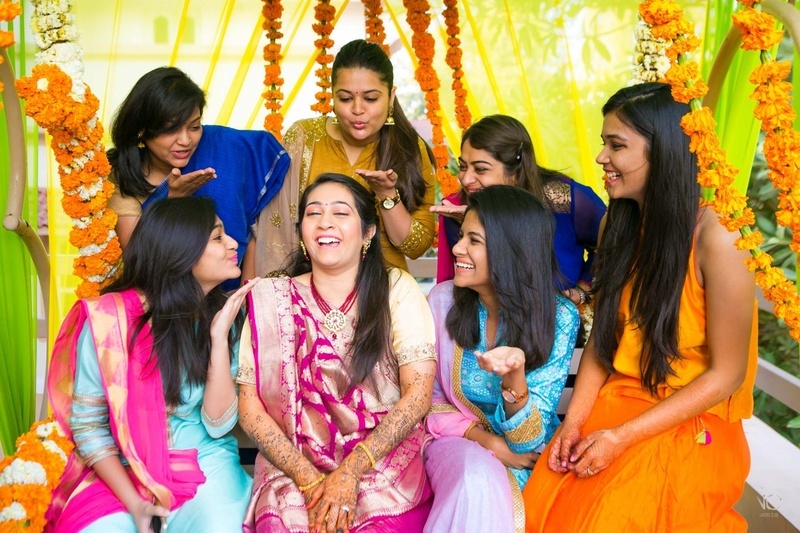 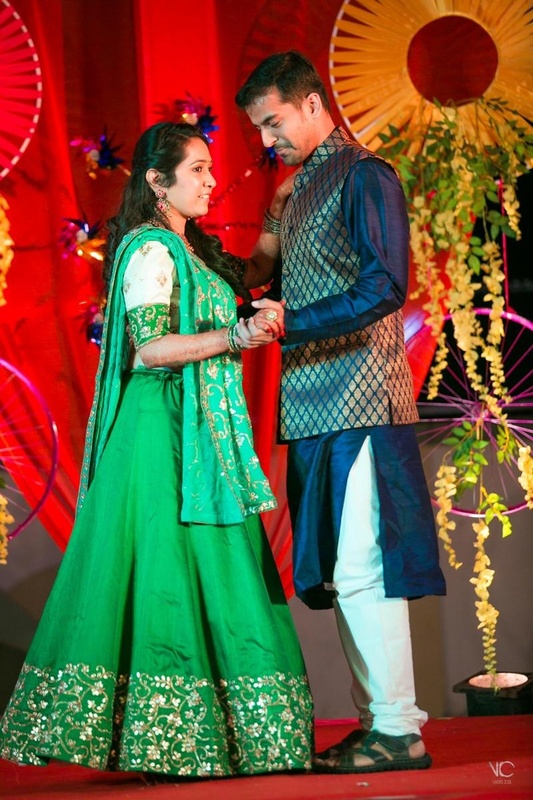 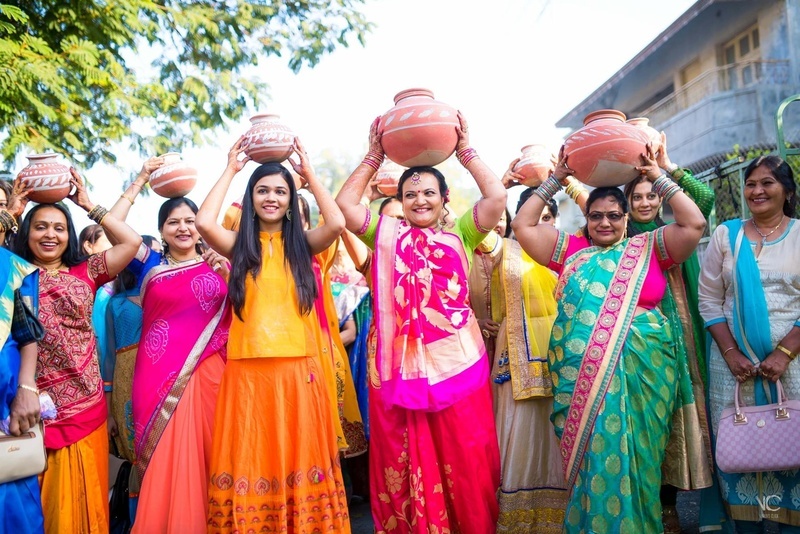 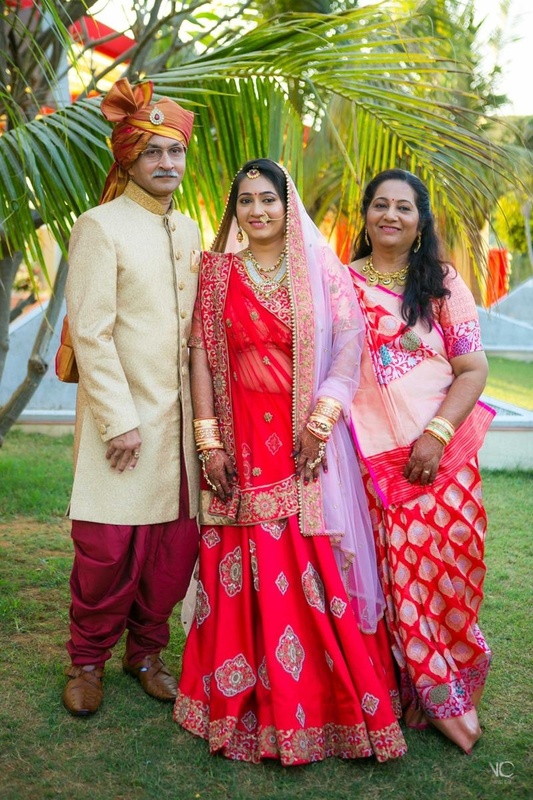 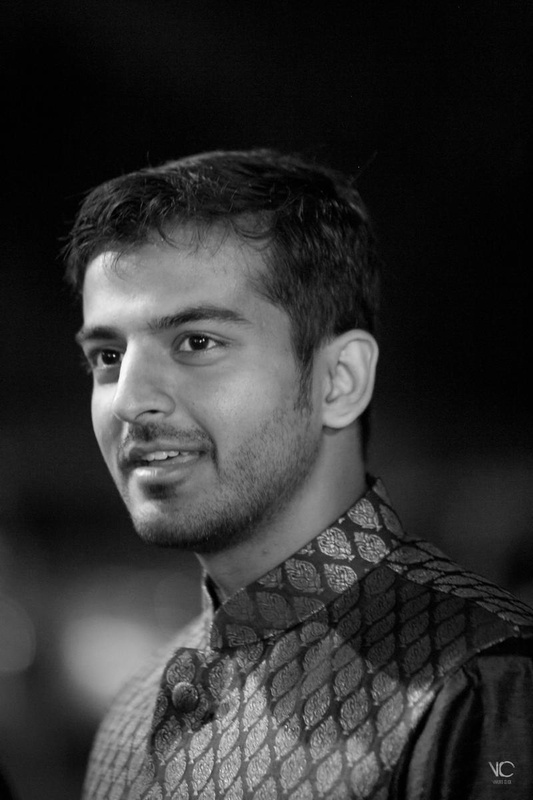 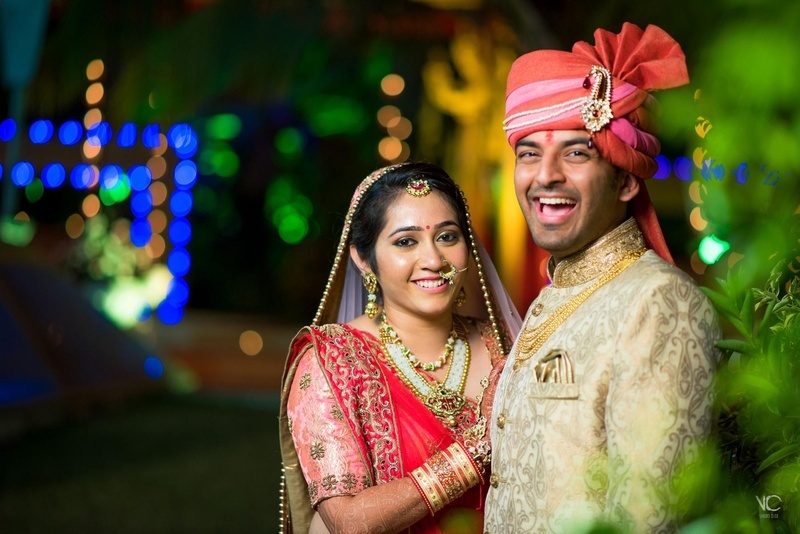 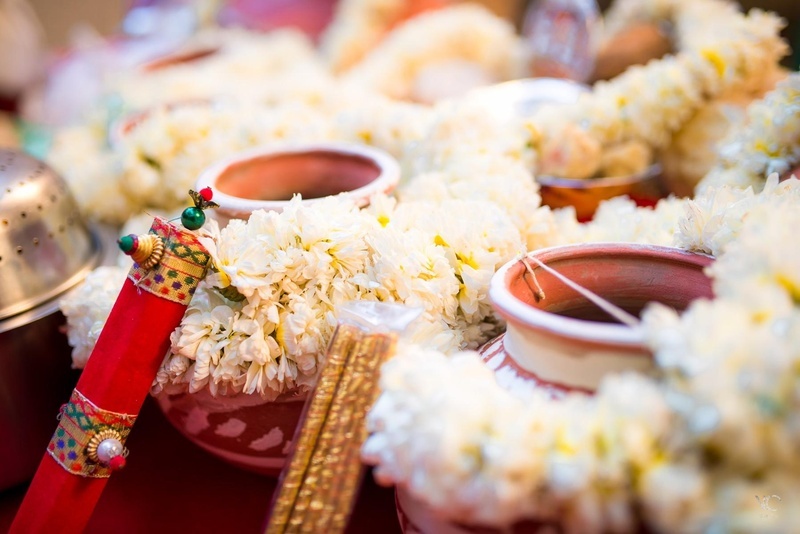 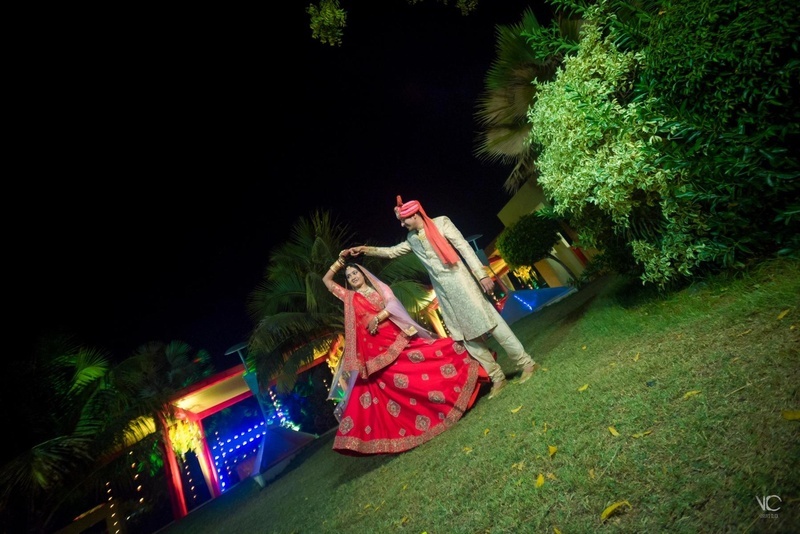 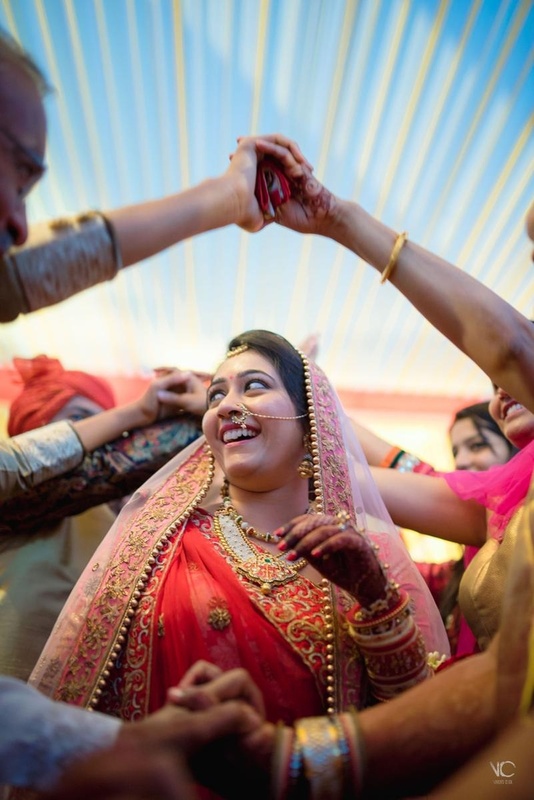 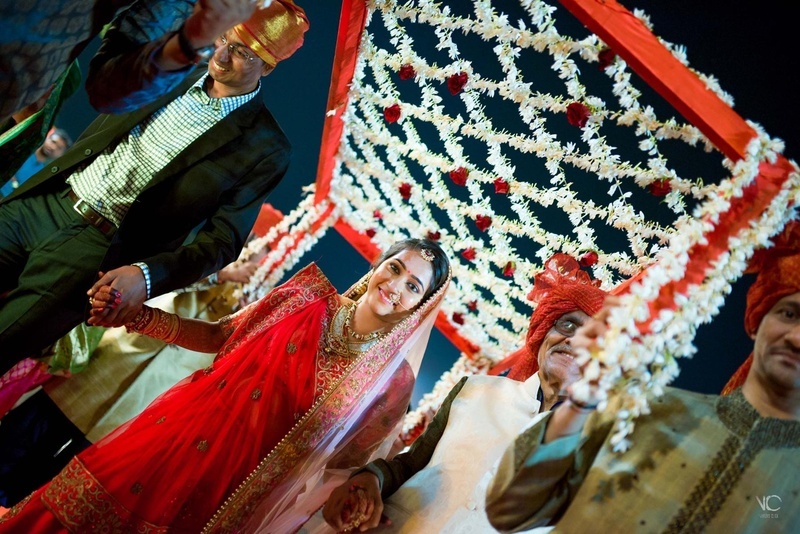 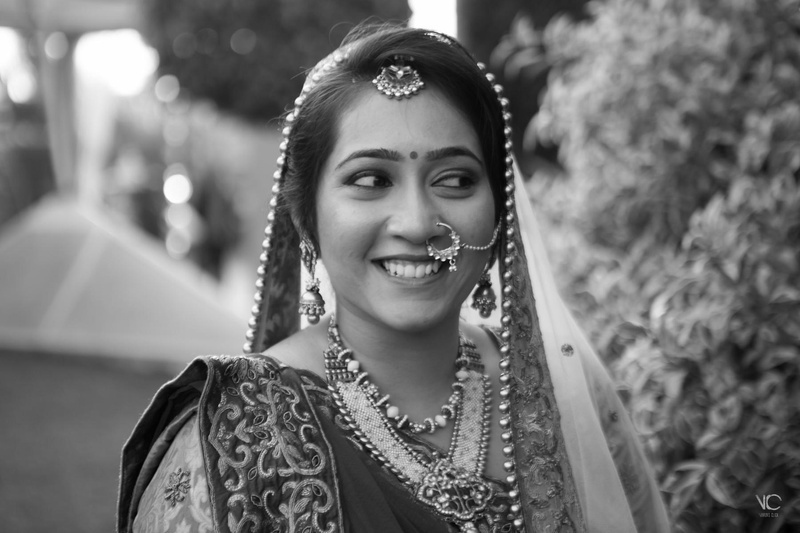 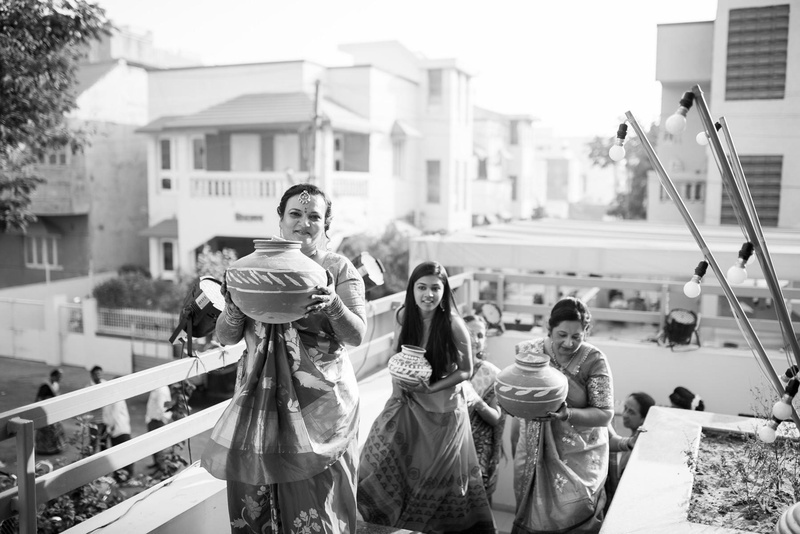 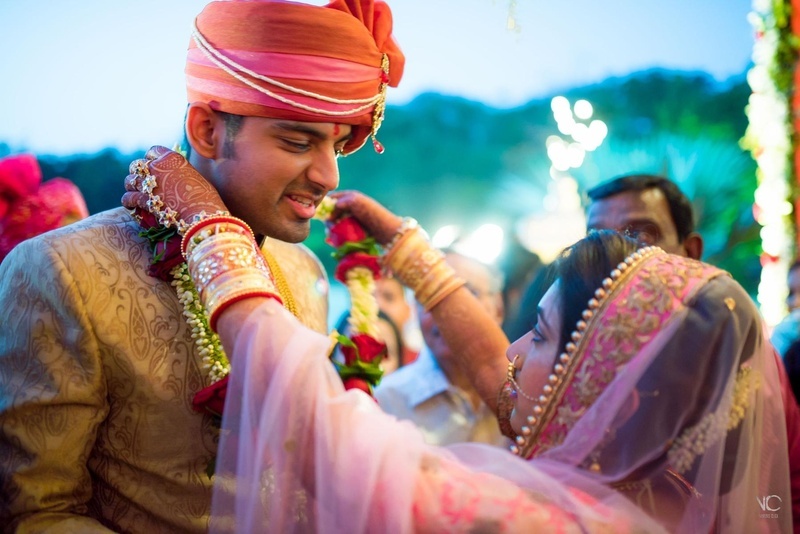 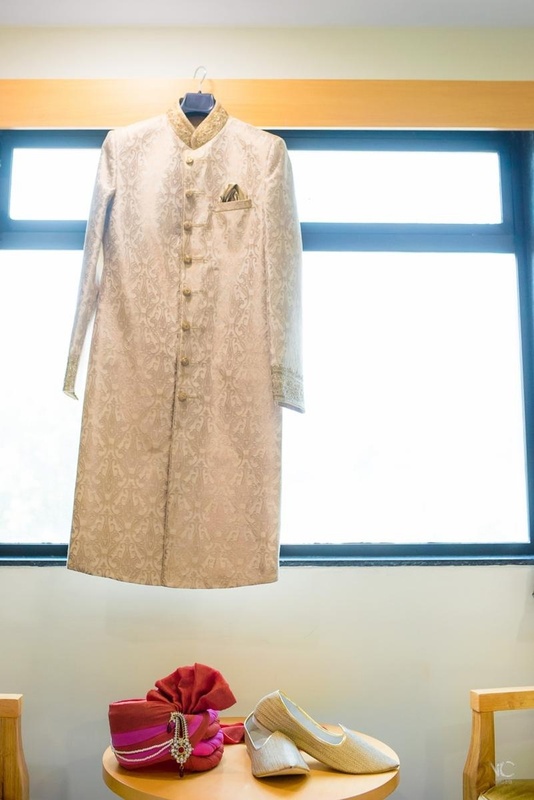 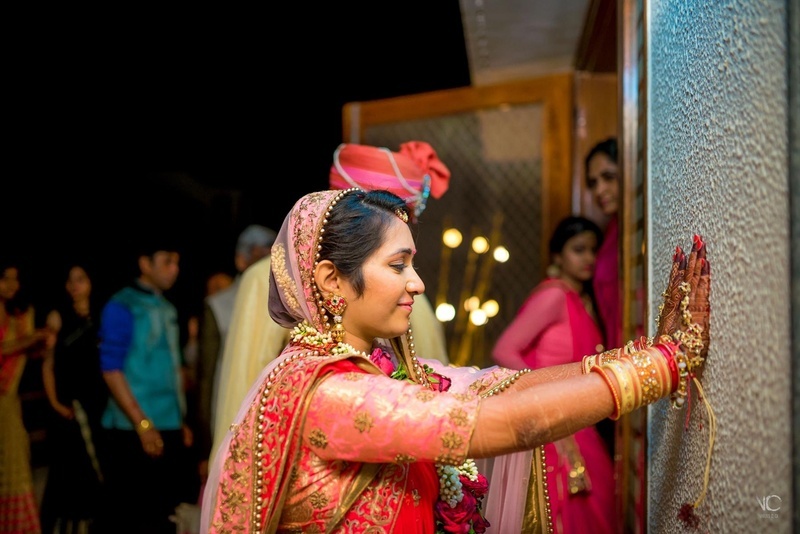 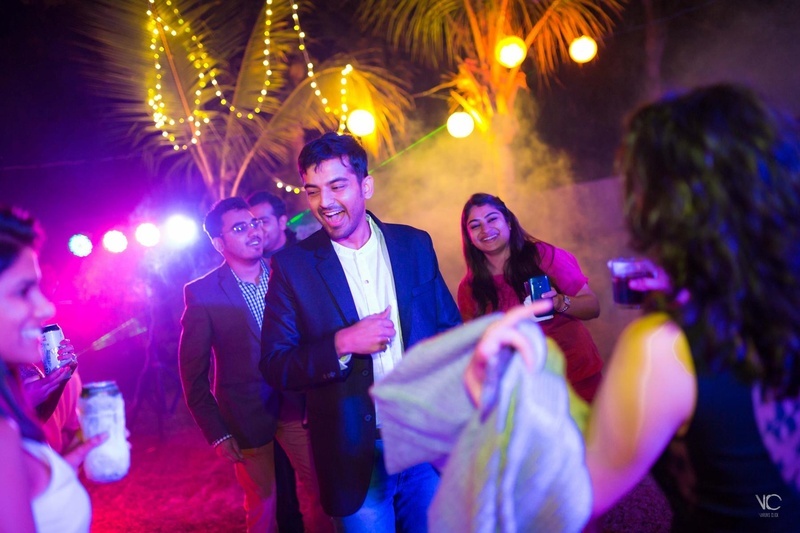 Captured briliantly by Varun's Click Photography who shot this full-on Gujrati wedding in all its glory. 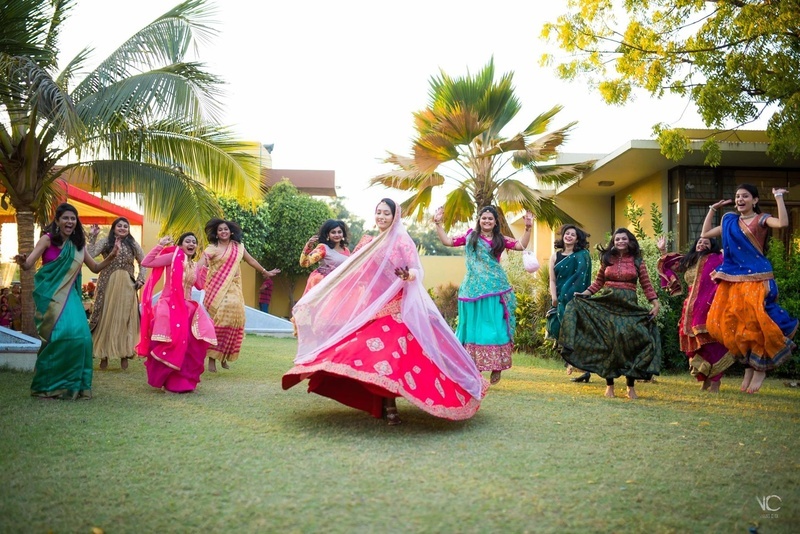 The wedding celebrations began with the cocktail + mehndi which then spilled on to the super colourful sangeet and engagement ceremony. 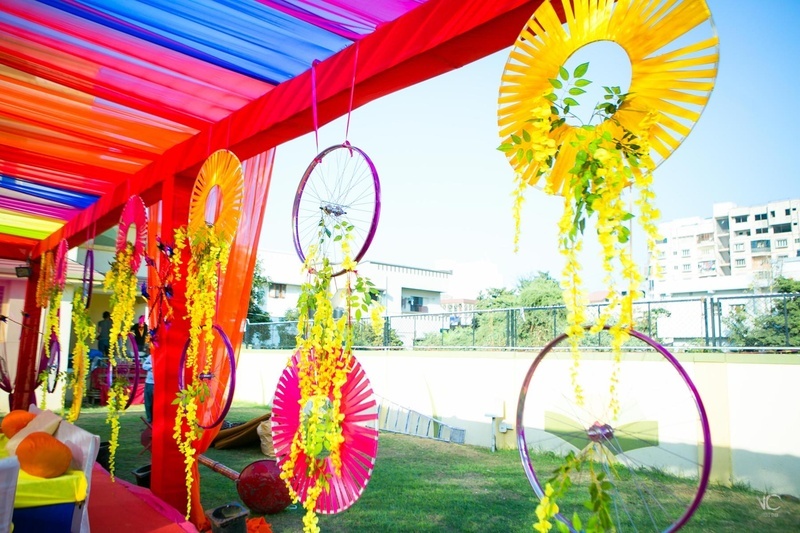 Exceptional decor by Velvet Events, Anand had us completely spellboud at each of their wedding ideas executed at this #AyGotKrud wedding. 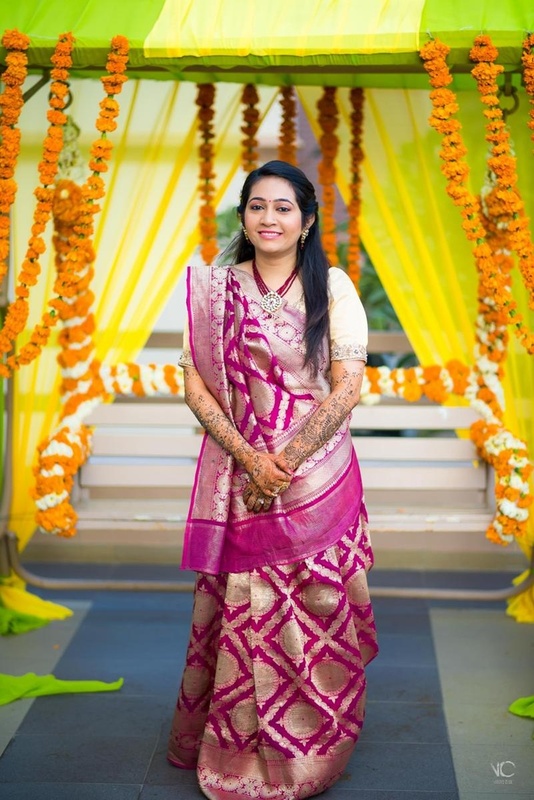 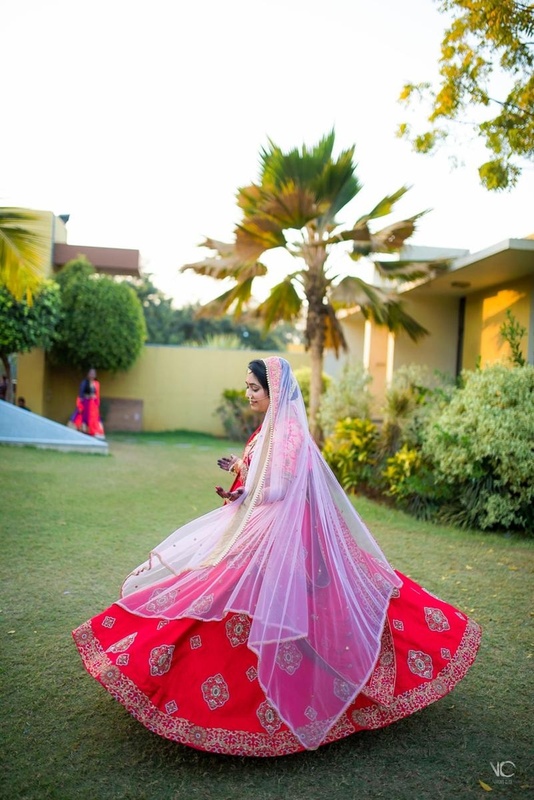 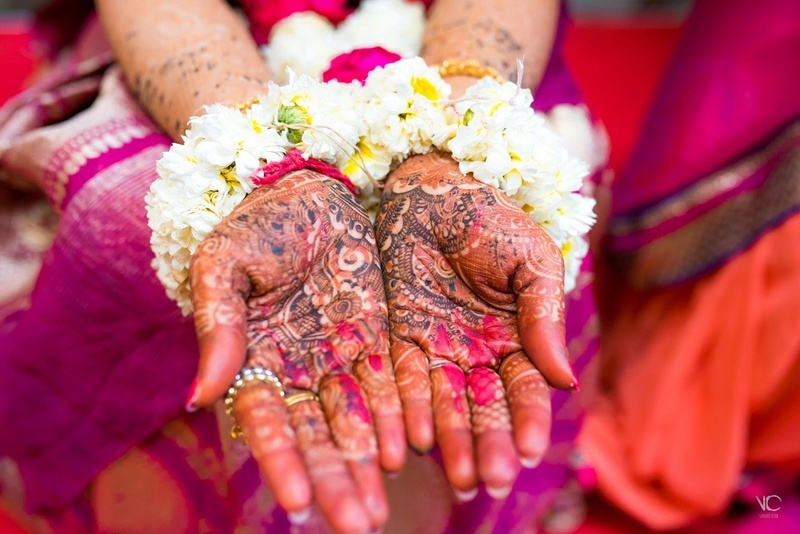 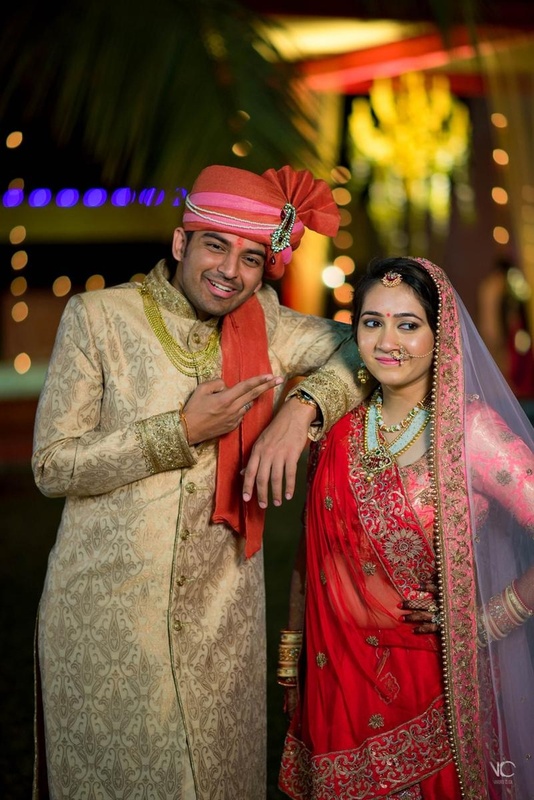 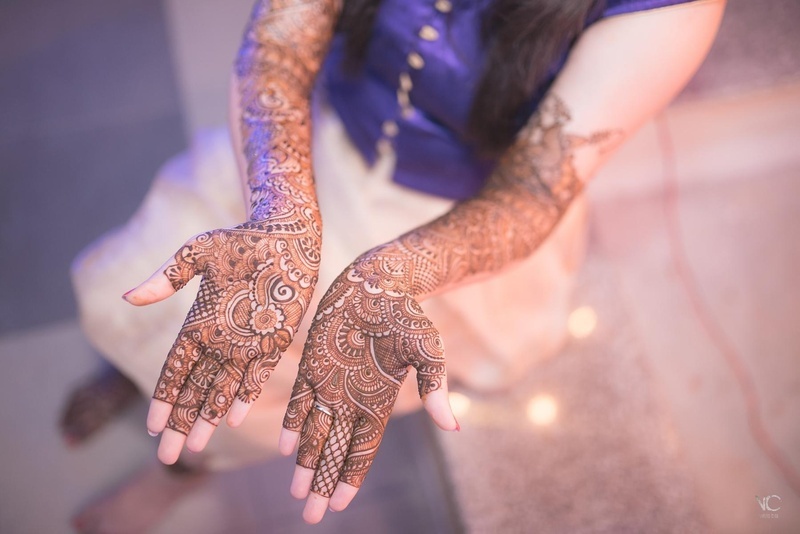 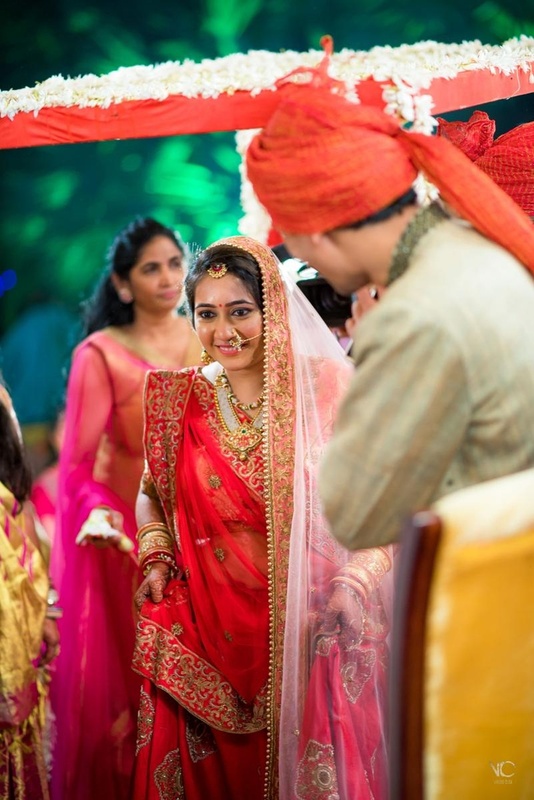 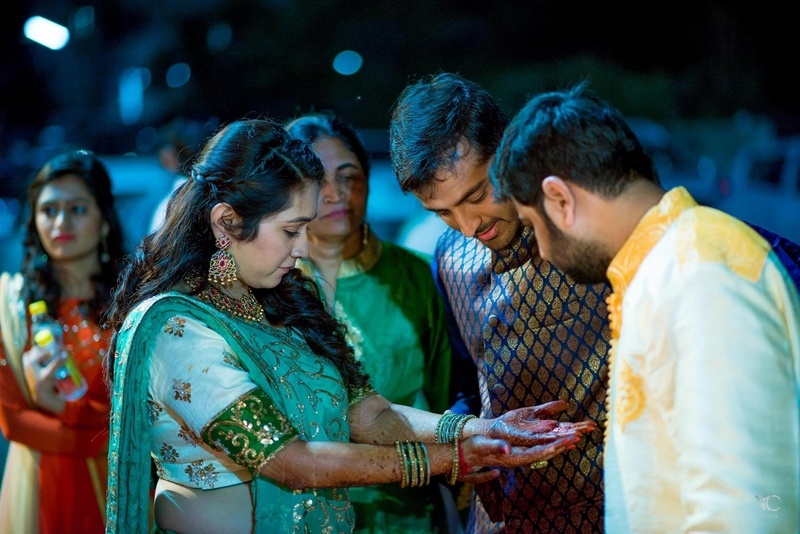 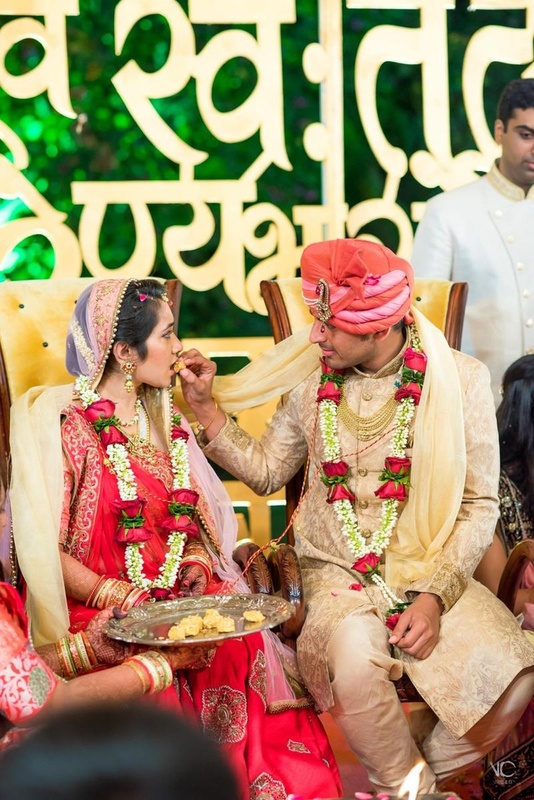 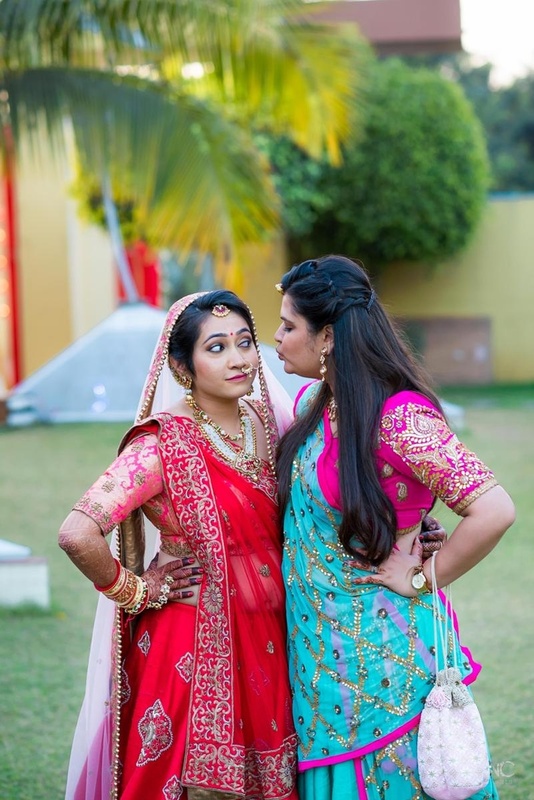 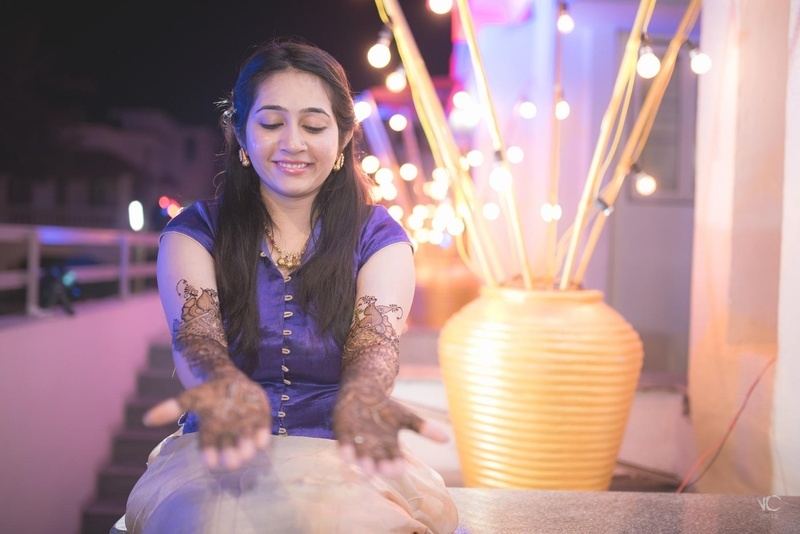 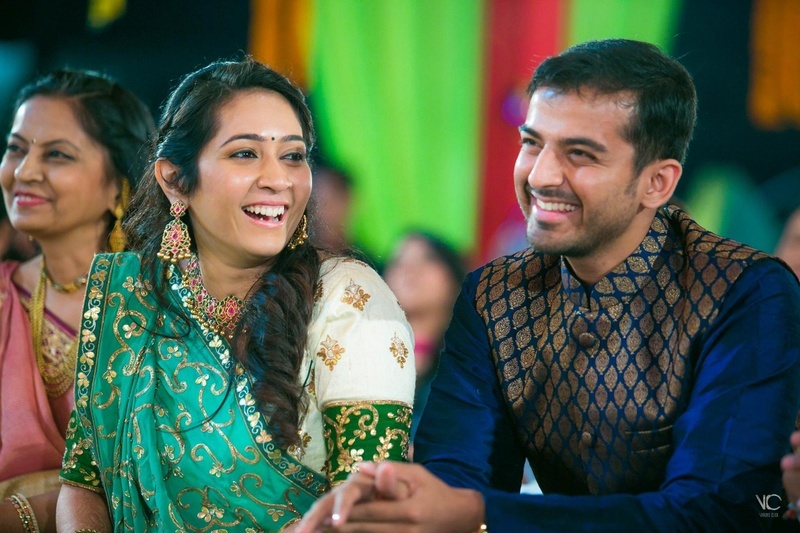 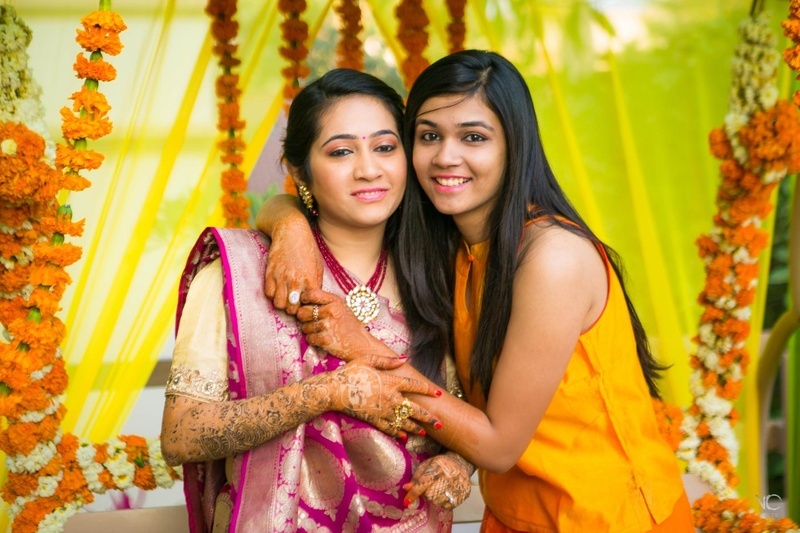 What to look out for as you scroll through this wedding - stunning banarsi silk sarees, rainbow themes decor ideas and stunning mehndi designs on the brides hands. 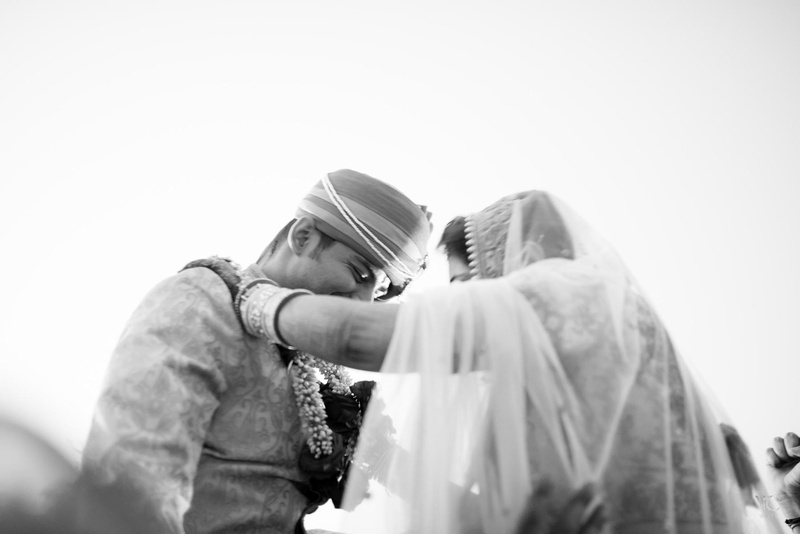 kruti & Ayush from Varun's Click on Vimeo. 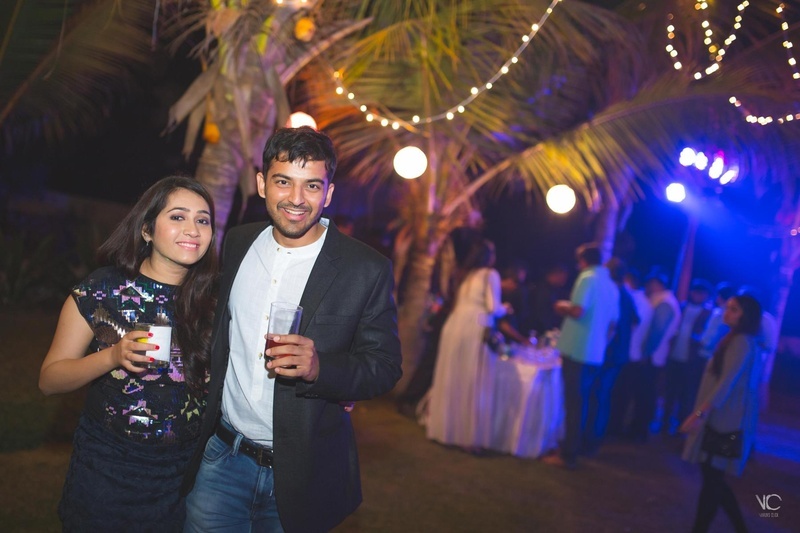 Ayush and Kruti's cocktail party! 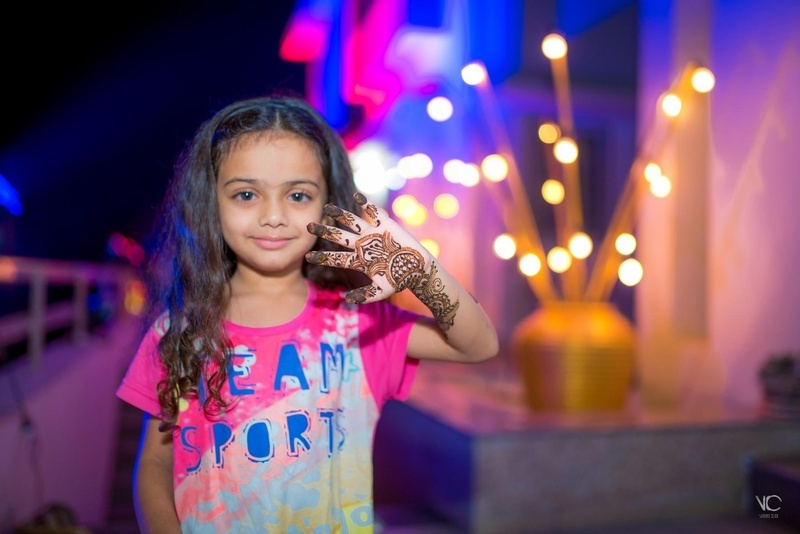 Mehendi on a pretty little kid. 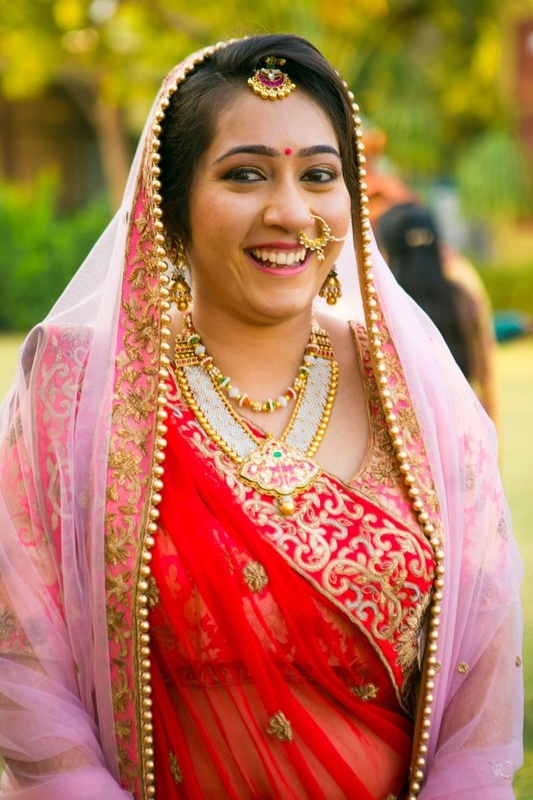 Sea green lehenga, paired with a white gota patti worked choli and a matching dupatta and styled with beautiful jewelry by Amrapali. 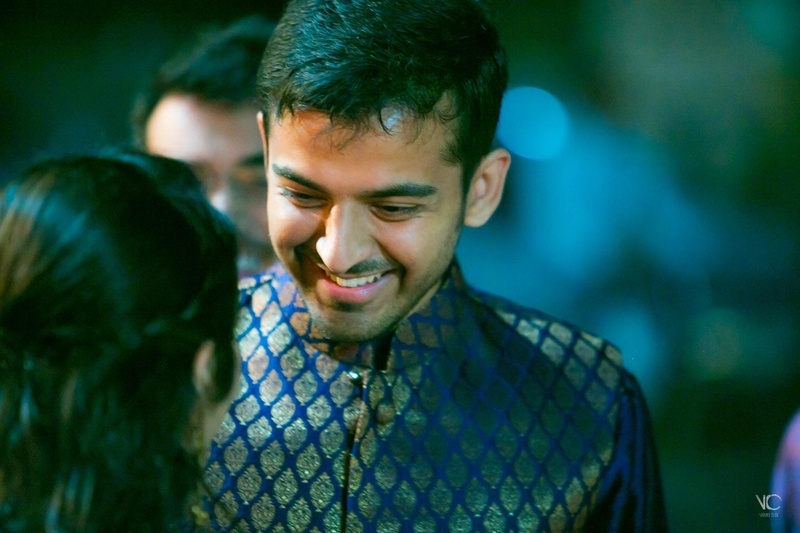 Handsome groom at his sangeet, wearing Arvind Khatri Sons. 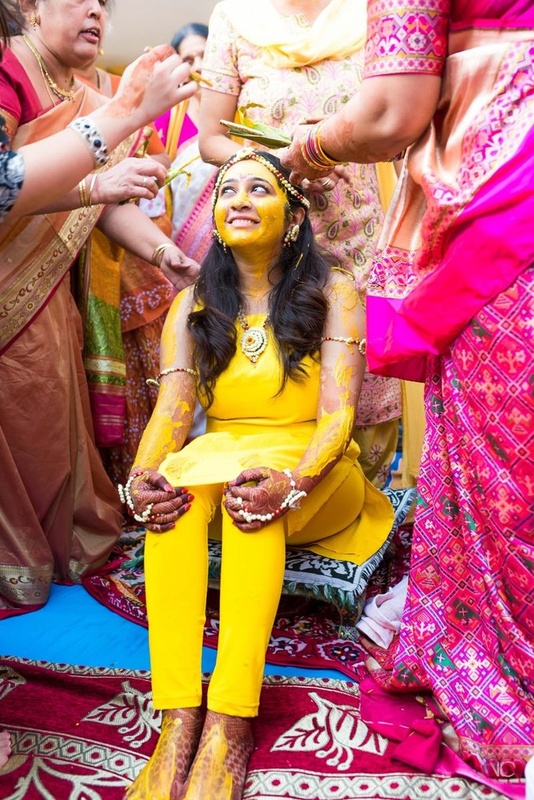 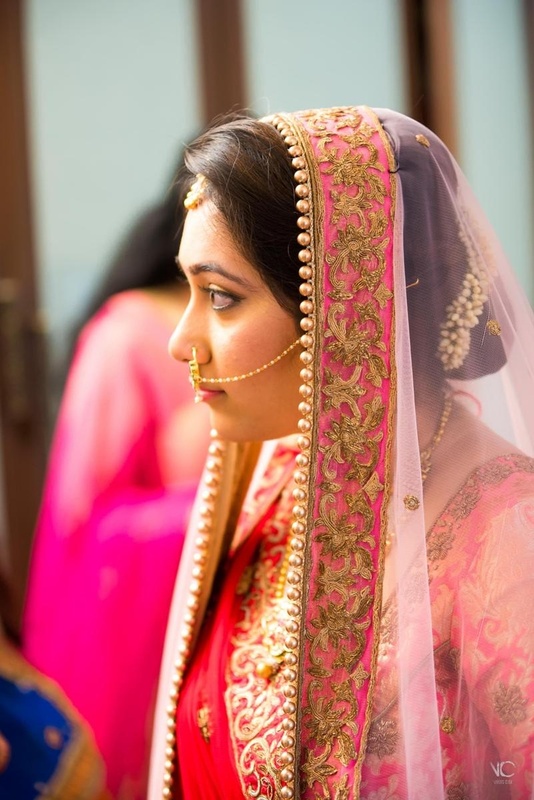 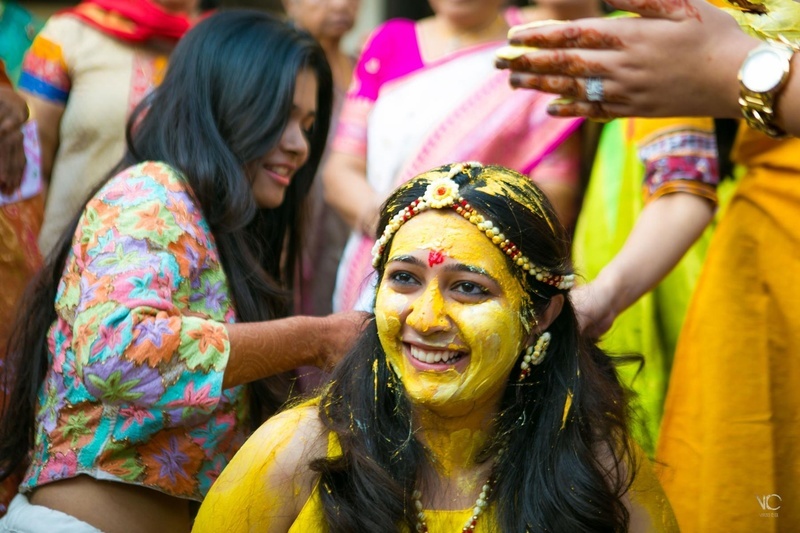 Bride wearing beautiful bright yellow suit paired with pearl jewellery by Amrapali! 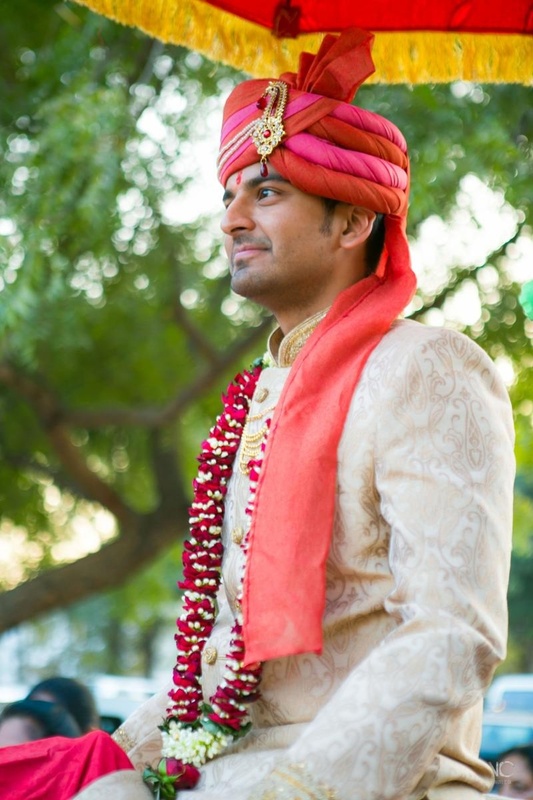 Groom wearing a beige sherwani with a traditional turban with kalgi and a gold multi strand chain. 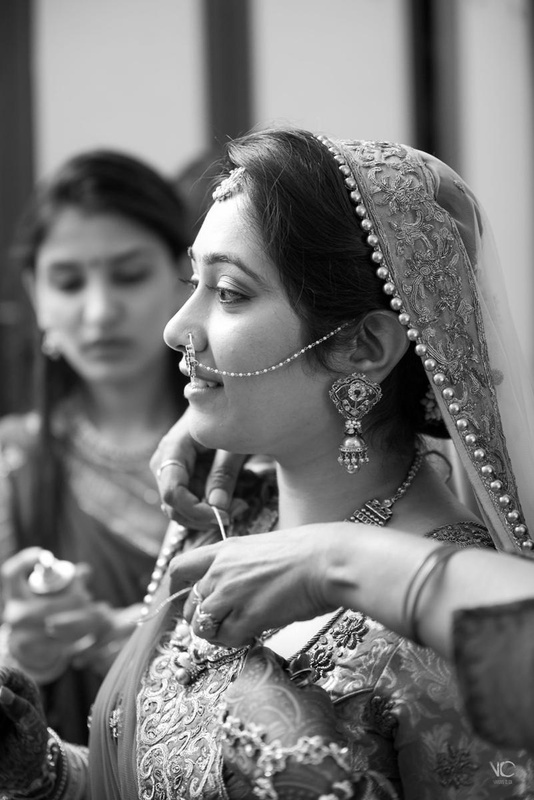 Bridal jewelry by Sunil jewellers, mumbai. 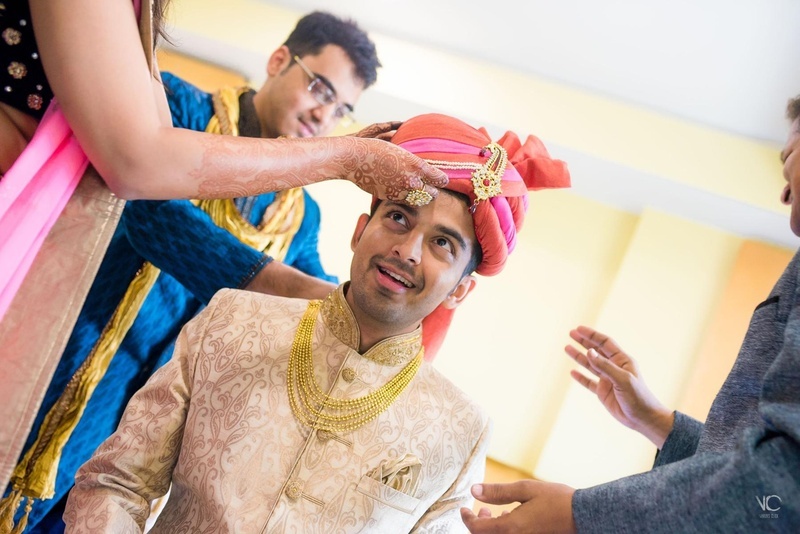 Groom all set on Ghodi for his baraat !! 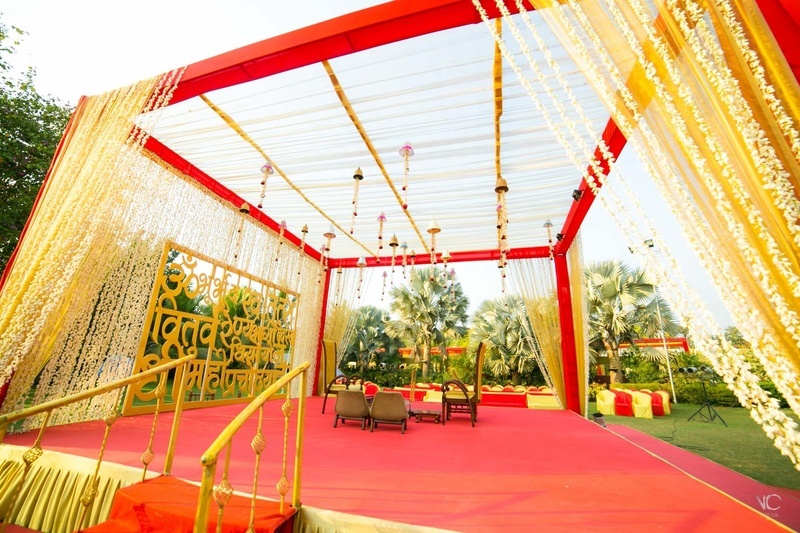 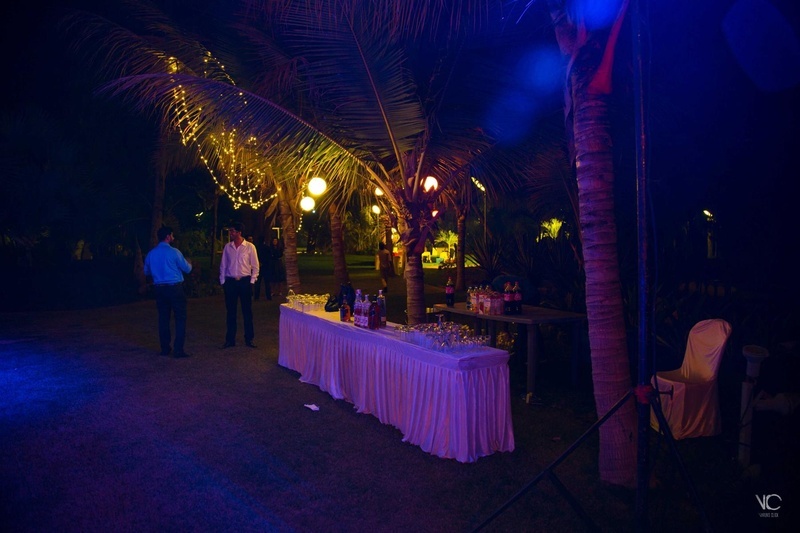 Beautiful wedding set up at Vidhi Party plot, anand. 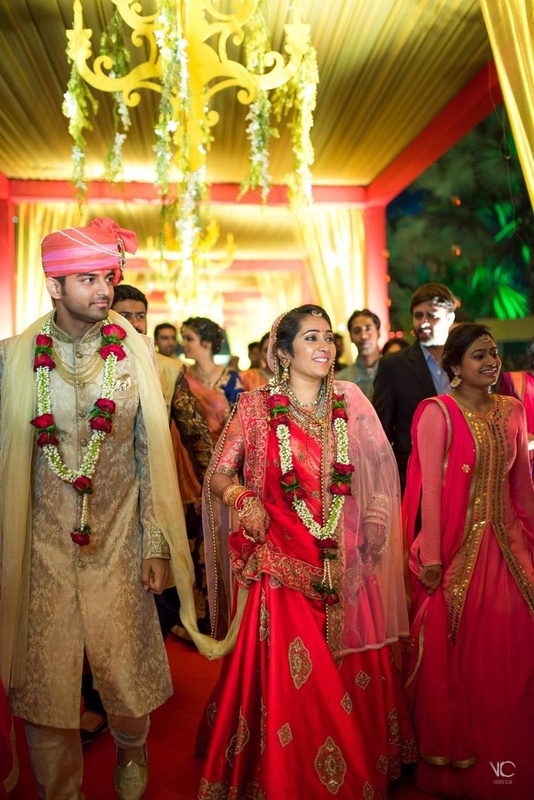 Couple exit from the wedding venue after the ceremony is over. 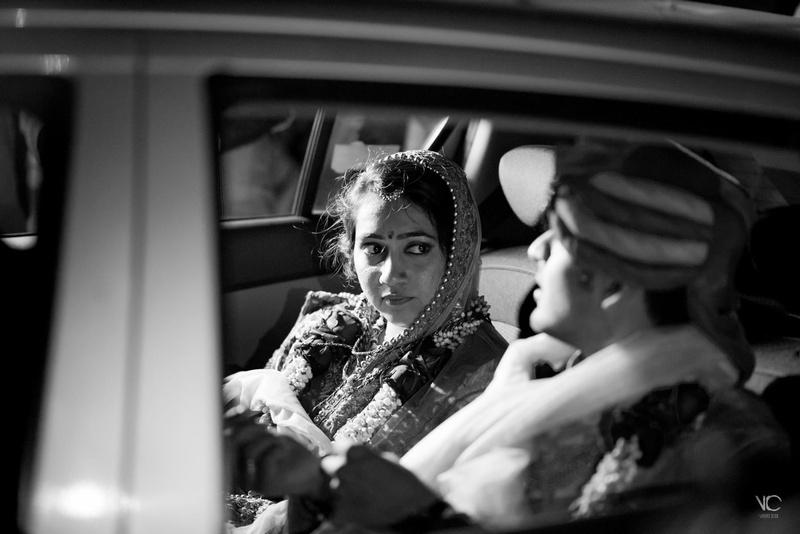 Candid photography.